On June 12th, we celebrated the second annual national Harm Reduction Day, a day to mark the gains from evidence-based programs and policies that help us build stronger, healthier and more equitable places to live. At the heart of harm reduction is engaging people who use drugs as peers, recognizing that their expertise and involvement is critical to generating sustainable change in our communities. To that end, we are excited to announce the Peer Engagement and Evaluation Project (PEEP), an innovative new initiative to ensure everyone across the province has equal access to harm reduction services. The goal is to establish an enhanced peer engagement network with best practice recommendations so service providers BC-wide can work with peers in their communities to better meet local needs. This project will build on existing peer relationships and explore new ways for more meaningful, ongoing dialogue. Establish peer engagement as the norm in BC and expand the opportunities for voices of peers who have been missing from our table. Empower and inspire peer leaders who bring a broader representation of the voices of people in their communities and become part of our team. In consultation with peers in every health region, develop guidelines that can be implemented and evaluated to establish best practice recommendations. 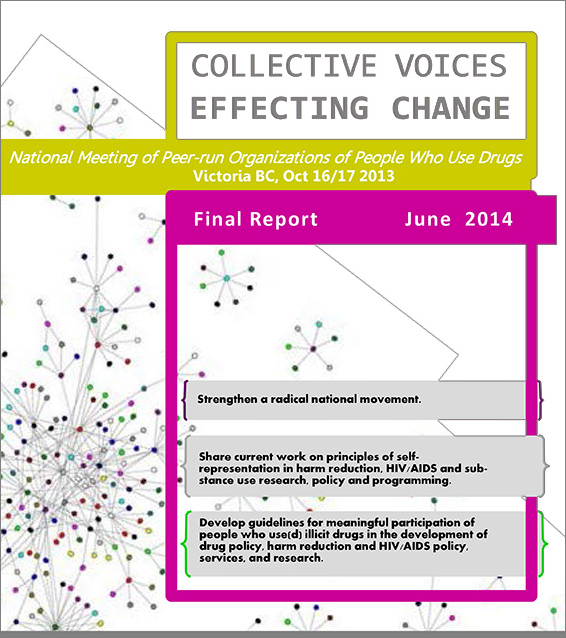 This research project is a collaboration between the BC HRSS, peer-run organizations, and people who use drugs. We are supported by funding through the UBC Peter Wall Institute for Advanced Studies, University of Victoria''''s Equity Lens in Public Health, BC Ministry of Health, BCCDC and regional health authorities (Fraser Health, Interior Health, Island Health, Northern Health and Vancouver Coastal Health). In consultation with peers, the BCCDC harm reduction team undertook a fentanyl study which has seen a spike in overdose deaths recently. The results suggest drugs are being cut with the potent opioid, putting people at risk without their even knowing it. Now in its third year, data from the comprehensive client survey is now in. We were able to collect 1,322 surveys from 50 sites across BC, and we included important new information on the change in methadone formula, crystal meth smoking practices, and more. In the latest news on BC's Take Home Naloxone program (over 200 overdoses reversed! ), new kits and a prison program are coming soon. Nurses with the required competencies are now able to dispense naloxone, and the program has been recognized as a leading practice. "The meaningful participation and active engagement of people who use psychoactive substances, and those who may experience sexual health harms, in the design and delivery of policy, programs and services is central to effective development and provision of harm reduction interventions." We have developed a simple 2-page flyer on How To Involve People Who Use Drugs, built on our own experience of working with those who are often the most affected by the issues.